Fixed-term contract until March 31st 2020, 22.2 hours per week worked flexibly. Museum Development is funded by Arts Council England (ACE) as part of a national programme. In Yorkshire, Museum Development is delivered by York Museums Trust through Museum Development Yorkshire (MDY). 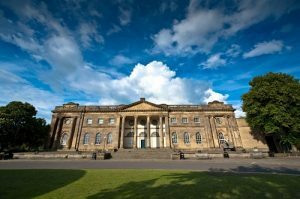 It supports museums across Yorkshire to manage their resources, look after their collections and provide services to their audiences in ways that meet or exceed recognised standards within the museum sector. A part-time internship until the end of March 2020 is being offered based within MDY to develop the skills needed to work within the museum or cultural sector. Training and career development will be provided, both locally and regionally. You will primarily support the delivery of the MDY programme through the provision of administrative, logistical and communications assistance. This will include event management, updating website, blog and twitter accounts, and assisting with the development of resources and support materials. Experience within a public facing role is essential along with experience of working or volunteering in a museum or gallery environment, as is the ability to travel to regional and national locations. Whilst not essential, project administration skills would be a distinct advantage. Due to the nature of the job it is essential that you can work some evenings and weekends and are willing and able to travel both regionally and nationally. www.yorkmuseumstrust.org.uk on the About Us, Jobs Vacancies page. Forms should be returned to recruitment@ymt.org.uk or by post to: Recruitment, Yorkshire Museum, Museum Gardens, York, YO1 7FR. The closing date for receipt of completed applications is 9am on Wednesday 20 February 2019 (Please note that York Museums Trust cannot be held responsible for non-delivery or late receipt of postal applications). Interviews will take place in York on Tuesday 5 March 2019.